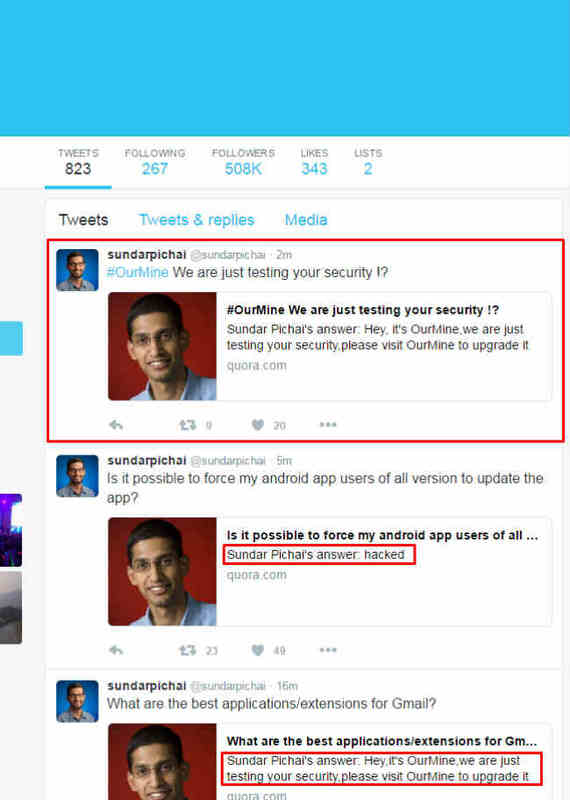 Google's CEO had his Quora account hacked and had fake Tweets sent from his account by the hacker group. 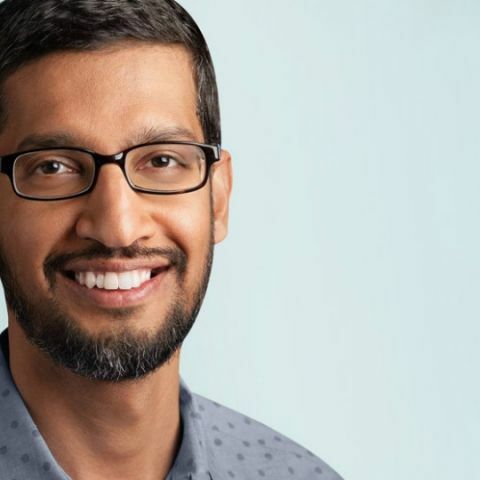 Sundar Pichai, the CEO of Google, had his Quora account hacked. This adds him to a growing list of high-profile figures to have their Social media accounts hacked. The group responsible for this is OurMine, the same group that was responsible for compromising Mark Zuckerberg’s Twitter and Pintrest accounts. The hacking group was also keen to advertise their various security services through their website. They also stated that Pichai's security was “really weak” and it wasn’t very difficult for them to get access. They gained access to Zuckerberg’s account through the Linkedin data dumps. This should serve as a reminder to the people to change their passwords, in-case they reused the same password on a site that was compromised. Recently, 32 Million Twitter accounts were also compromised and had their credentials being sold on the dark web. Twitter later suspended some accounts after confirming the leak and asked people to use stronger security measures.